Camp Minsi is located on the shores of Stillwater Lake atop the beautiful Pocono Mountains in Pocono Summit, Pennsylvania. Donated by Samuel Rubel of New York City to the Boy Scouts of America in 1949, Camp Minsi encompasses more than 1,200 acres of relatively flat Pennsylvania woodlands. The 314-acre Stillwater Lake provides sailing, swimming, fishing and other aquatic activities to the hundreds of Scouts and Scouters who visit Camp Minsi throughout the year. 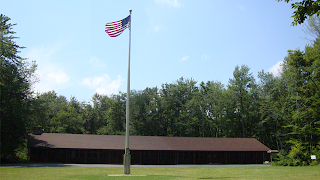 Camp Minsi features a centrally located spacious Dining Hall. Within a short walk from the Dining Hall are 10 Troop campsites with capacities that range from 30 to 60 campers. Further away are a number of backwoods outpost sites for a more rustic experience. There are over 20 miles of hiking trails throughout the camp that give Scouts an opportunity to experience a variety of flora, fauna and the intriguing geology of a glacial moraine. The varied wildlife that makes the reservation its home grants both youth and adults the opportunity of experiencing and interacting with nature first hand. 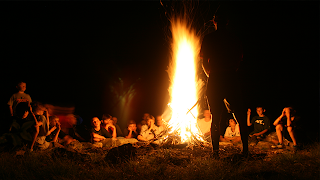 Summer camp is the pinnacle of Scouting’s outdoor program. With many unique program areas, Scouts have the opportunity to experience a variety of exciting activities at Camp Minsi. Each summer is filled with new programs and activities designed to peak the interests of every camper - from newest campers to the seasoned veterans. Camp Minsi’s Trail to Adventure is a special program designed to help newer Scouts advance in the early ranks, while also working towards a few merit badges. 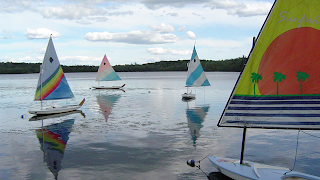 The camp's waterfront, located on Stillwater Lake, offers many exciting programs – including swimming, sailing, canoeing, rowing, kayaking, sailboarding and snorkeling. ScoutCraft teaches valuable outdoor skills while offering unique challenges for Scouts of all ages. Over at Handi-Craft, Scouts are able to hone their craft in woodcarving, leather work, basketry, pottery and more. Camp Minsi's Ecology-Conservation area offers in-depth environmental programs – including conservation projects and nature studies. At Shooting Sports, Scouts have a chance to shoot rifles, shotguns and bows and arrows. The summer camp website, located at campminsi.org, has been assembled to help Scouts, leaders, parents and troops prepare for their summer camp experiences. 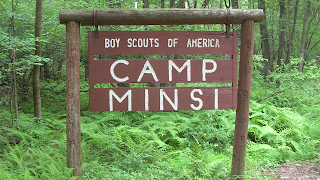 For more information on Minsi Trails Council and other programs at Camp Minsi, please visit minsitrails.com.